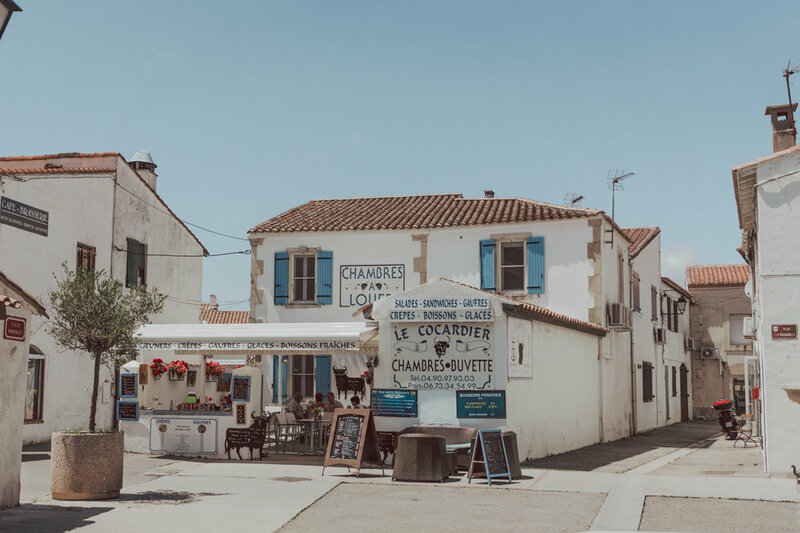 It’s hard to write about Les Saintes Maries de la Mer without mentioning Camargue; after all, Le Saintes is the capital of the region. Camargue is famous for its Natural Park, which includes a large UNESCO designated biosphere reserve. If you are a nature lover, you will enjoy this region. 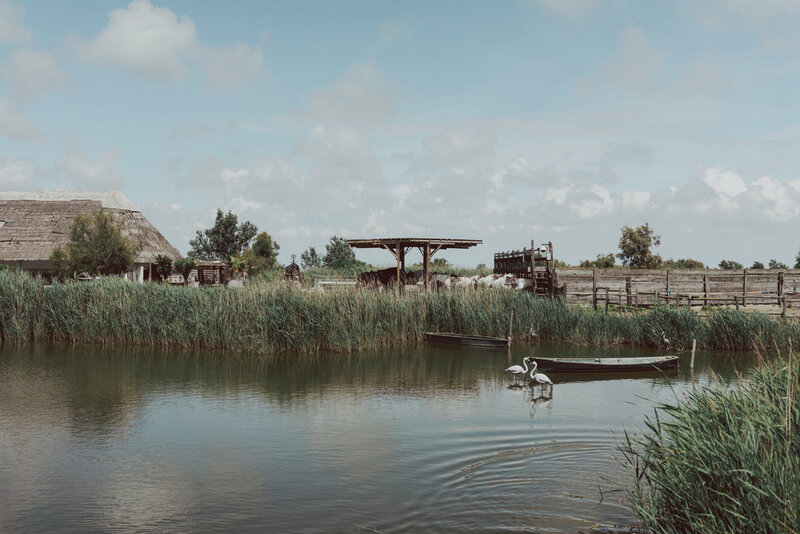 Aside from its distinctive flora and fauna, Camargue is also known for its special horse breed, superb beef - Taureau de Camargue – raised in a unique free-range style, and their world-renowned salt and rice. If you are a salt snob, you have probably heard of Le Saunier de Camargue Fleur de Sel. If you are planning to visit Le Saintes, make sure to tour the region as well. You don’t want to miss it! And if you dislike hiking hills like I do - I only do it for the views, good news! 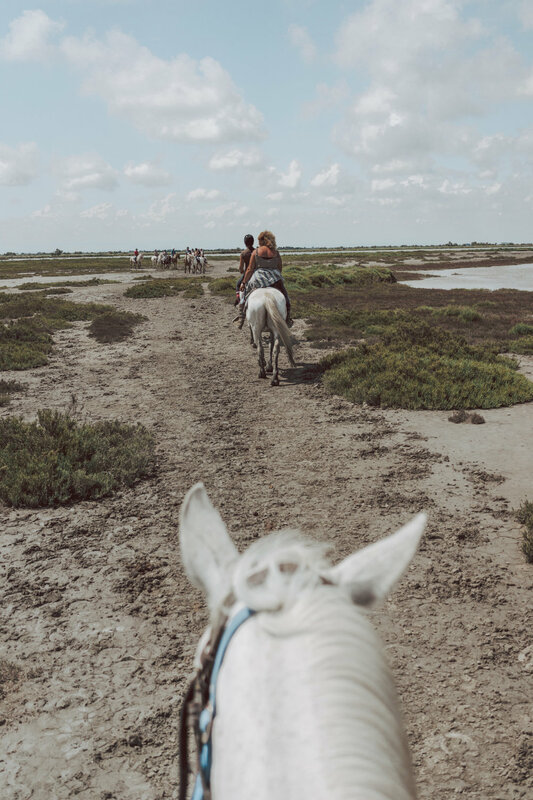 Camargue offers hiking and cycling opportunities on flat terrain, and there are no hills. Pétanque is a favorite game in Provence, and you will often see locals playing it at parks on sunny days. 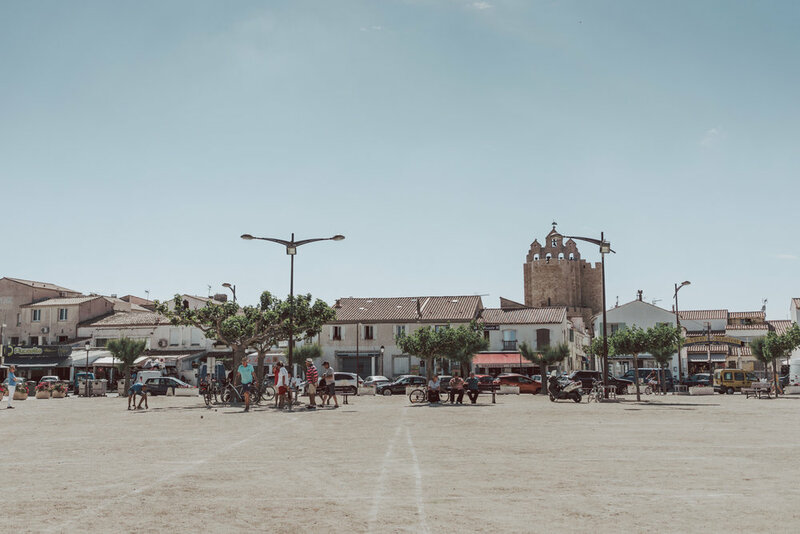 On my road-trip through Provence, I saw no shortage of people gathering around to play a match of Pétanque, so don’t be shy and join a game! 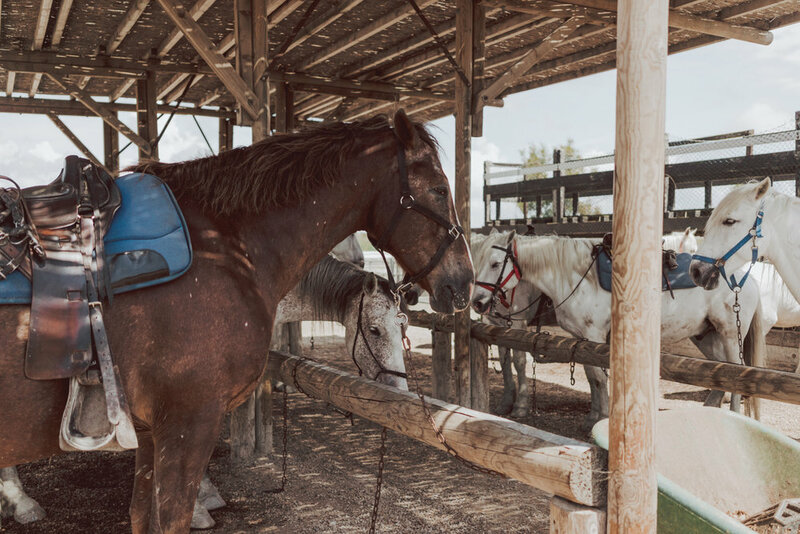 Horses have a long-standing tradition in the region so the abundance of horseback riding tours shouldn’t be a surprise. The Camargue horses are recognized as a breed and are known for exceptional stamina. My horse – Galopion – on the other hand, prefers slow strolls. We chose to do the tour with Equestrian Center Les Arnelles. You won’t need to drive far from Les Saintes for the adventure, as the ranch is conveniently located right outside the town. 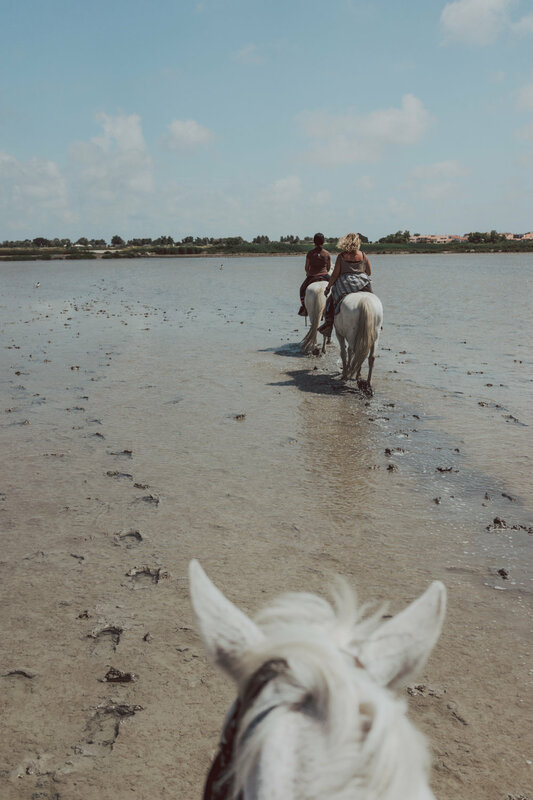 The horseback ride was an hour long and encompassed beaches and Camargue’s natural beauty. We even saw Camargue bulls and spotted a flock of flamingos! Nothing beats a rooftop view. Climb to the top of the fortified church for a panoramic view of the village. It will be worth the 53 narrow steps to the top. I highly recommend doing this in the off-season as the weather is milder and the church will be less crowded. Work up your Provencal glow by the miles of sandy beaches. If the water is too cold for you in the spring, just take a walk on the promenade and enjoy the view. Ah, my favorite thing to do! Although Les Saintes-Maries-de-la-Mer caters to tourists, the quaint town retains authenticity. Locals live in the village and carry on with their daily life, shops are filled with goodies from the region, and traditions remain well and alive. 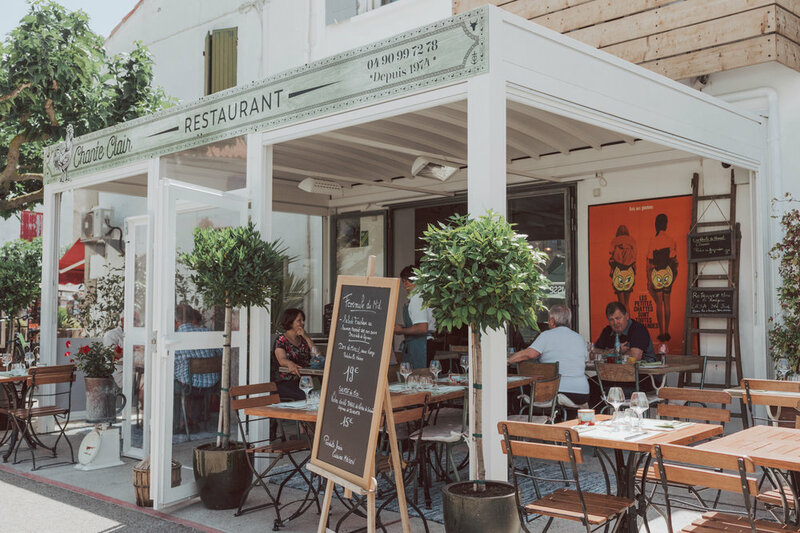 When in Camargue, you must try the Gardiane de Taureau also known as Provençale beef stew – prepared with their renowned free-range beef, local vegetables, and Provençal herbs. In addition to that, you may be surprised to see Paella served everywhere! 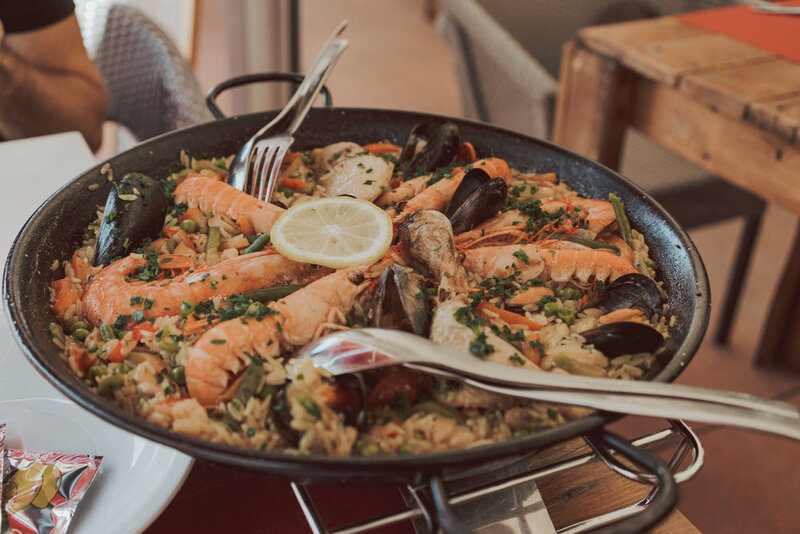 There’s a strong Spanish influence in town that you might notice as soon as you step in; and Camargue's other specialties are salt, seafood, and rice, which are vital ingredients for an excellent paella. While strolling through the buzzing town, my sweet tooth kicked in when I saw La Cure Gourmande – a magical confectionery store originally from the South of France – and I couldn’t resist but wonder in and pick up a few goodies: a box of Nougat Au Calisson d'Aix and Nougat Blanc. The latter, my new favorite! 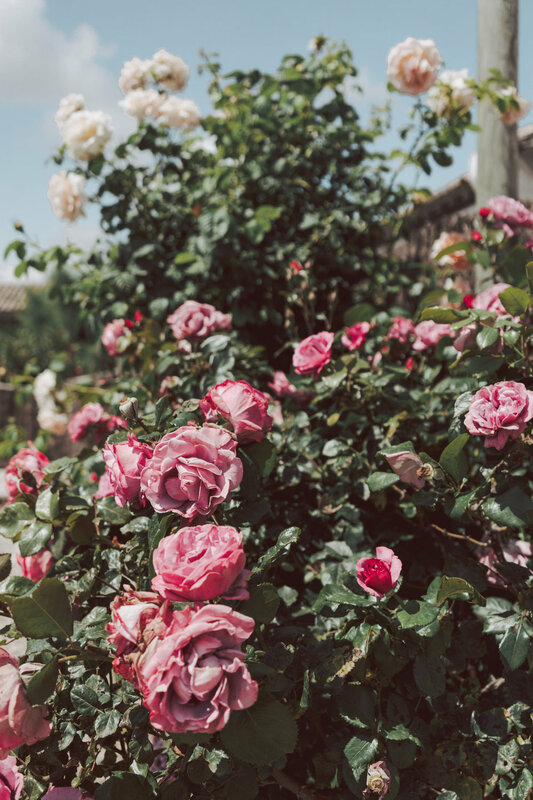 Spoiler alert: I found a lot of new favorites while in Provence. Summer is the liveliest season in Les Saintes with festivals and music, warm waters, and big crowds. 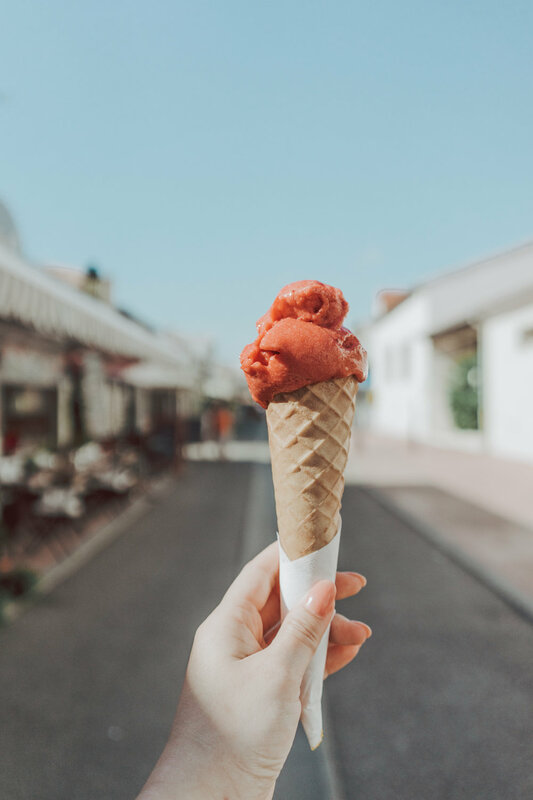 But if you want to skip the masses and enjoy the town all to yourself in a lazy Sunday kind of way, visit in the off seasons: late spring and fall. We went in the first week of June just after the pilgrimage and before the busy season started. The streets were calm, the seabirds were singing, and the town’s people ready to receive us. 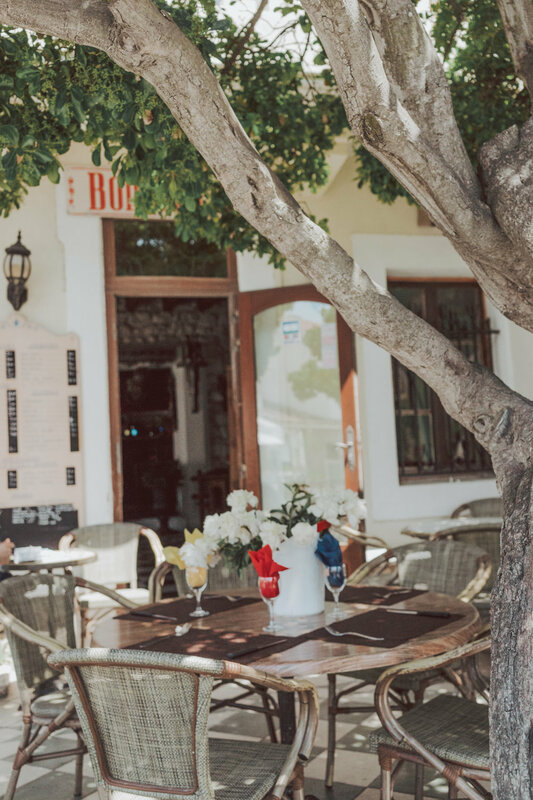 Les Saintes Maries de la Mer welcomes visitors year round, but if you visit during the holiday season in December, keep in mind that on December 25th and January 1st you will find everything closed. Visit in late May, and you will experience the Gypsy's Pilgrimage. Romanies, Manouches, Tziganes, and Gitans, come from all over Europe to worship their Saint, Black Sara on May 24th – 25th but expect to see the pilgrims arrive a week before. Check the town’s calendar here for all the festivals and dates. 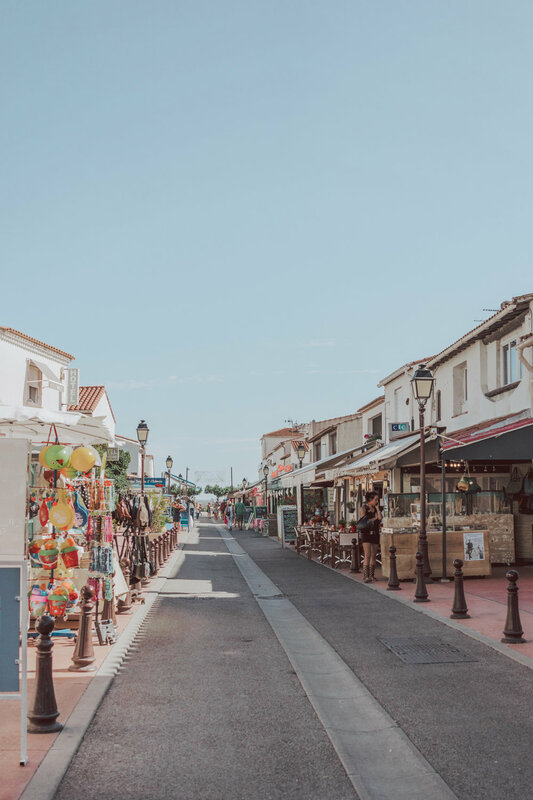 The easiest way to reach the quaint town and tour the Camargue region is by car. We rented one for our road-trip through Provence and drove from Hyeres, our base for the next few days. If you opt to not rent a car, you can visit via public transportation. Arrive at the nearest train station in Arles, and from there take the bus - 30 minutes ride - to Les Saintes. Buses depart every three hours to the villa. Would like to visit Les Saintes Maries de la Mer? Pint it!